If you are looking for a super easy lemon pie to make for your next BBQ or dinner party then look no further. Here it is. You might not have even known that you needed (or perhaps wanted?) 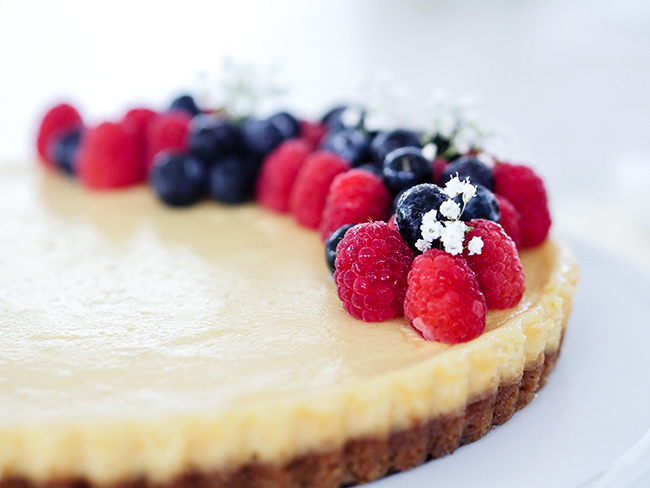 this recipe, but once you taste this light and creamy slightly tart pie you will not look back. I made a version of this last weekend for a BBQ with friends. The recipe was called Key Lime Pie (and I was going with a Mexican food themed BBQ so it kind of fit my brief). In actual fact a key lime is different from a lime so mine was more like just Lime Pie – semantics aside, it was delicious and easy to make. There were a few requests for the recipe…so as the good blogger that I am, I whipped it up again today – this time with lemon – and am sharing the recipe for more than just the handful of friends that asked for it. 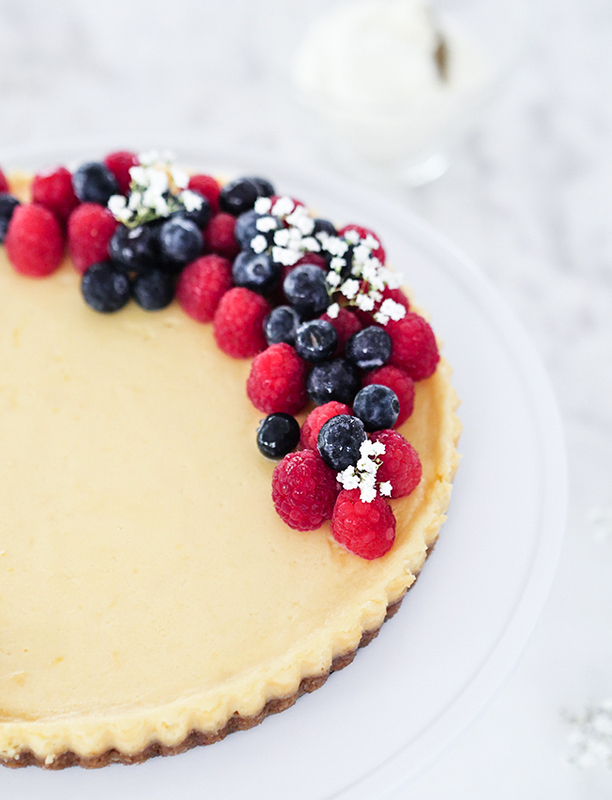 This pie is like a lighter and less fiddly cheesecake. You can make it with lime or lemon as both taste great and serve with a little whipped cream. Preheat oven to 155 celcius. In a mixing bowl combine all the crust ingredients until well combined. Tip into your pie pan and press with the back of a spoon (or your fingers) until you have an even base. Place in the oven and bake for 10 minutes or until slightly golden but not browned. Cool on a rack while you prepare your filling. Using electric beaters whisk together the lemon rind and egg yolks for 5 minutes until the mixture is thickened (5 minutes is actually quite a long time in the whisking stakes and it’s worth whisking properly so don’t get bored half way through and think ‘good enough’…or is that just me?) Add the condensed milk and whisk for a further 3 minutes. Pour in the lemon juice and lightly whisk to combine. Pour the mixture on top of your crust in the pie pan and place in the oven for 10 minutes. The mixture should be set but not browned. Allow to cool a little before placing in the refrigerator to cool completely. Once cooled, decorate as you wish. It is lovely served with a dollop of whipped cream.